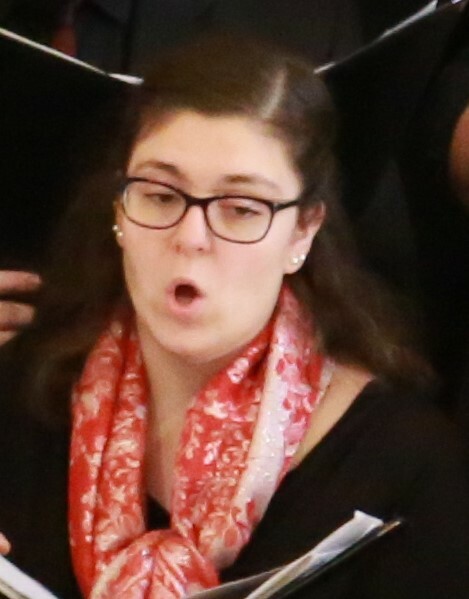 Marisa Curcio, a student from Westminster Choir College of Rider University is joining our staff to service the Lord with Princeton UMC congregation. She is currently a senior majoring in Church Music and Music Education. She has an exceptionally exquisitely soaring soprano voice that can be heard from miles away and make people turn their heads because of its beauty. She has her senior recital scheduled in March. Please don’t miss an opportunity to hear and be embraced in such a stunning voice. Details be will announced in the February issue, so stay tuned. She already has sung with Chancel Choir at our annual Christmas Concert and during our Longest Night service. She has an outgoing personality and is eager to meet everyone at PUMC. I hope you will all get to meet and know her in 2017. This entry was posted in Music, PUMC Family News and tagged Chancel Choir, Christmas Concert, church music, Longest Night Service, Marisa Cursio, Westminster Choir College of Rider University. Bookmark the permalink.